SHOT Show 2019 has come and gone, which means it's time to look back on the latest and greatest products that spanned the nearly 16 acres of showroom floor. This year marked the 41st anniversary of the event, and saw more than 50,000 people come from all over the world arrive to get their collective fingers on the pulse of new trends in the industry. And with the show continuing to grow at meteoric rates, the number of new products and vendors can be overwhelming. Thankfully, the fine folks at Firearm News were on the scene to separate the groupies from the rockstars, and find the most impressive, most revolutionary new products on the showroom floor. Which is no small undertaking. Given the vast amount of new handguns being offered by dozens of companies with excellent reputations for quality, it was very difficult to narrow down the best ones. But we managed to persevere, and bring you the creme of the crop. Proof that everything in life is cyclical - Walther is releasing a steel-framed handgun! 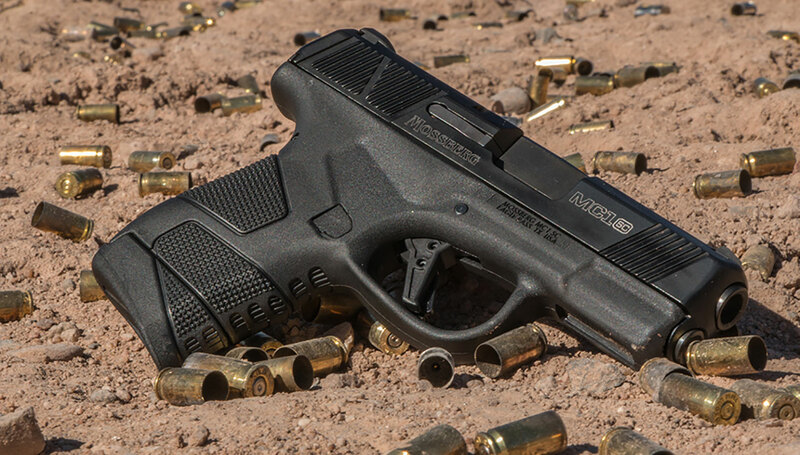 While the past decade has seen dozens of new polymer-framed, striker-fired handguns flood the market, this year the engineers at Walther decided to do something different. 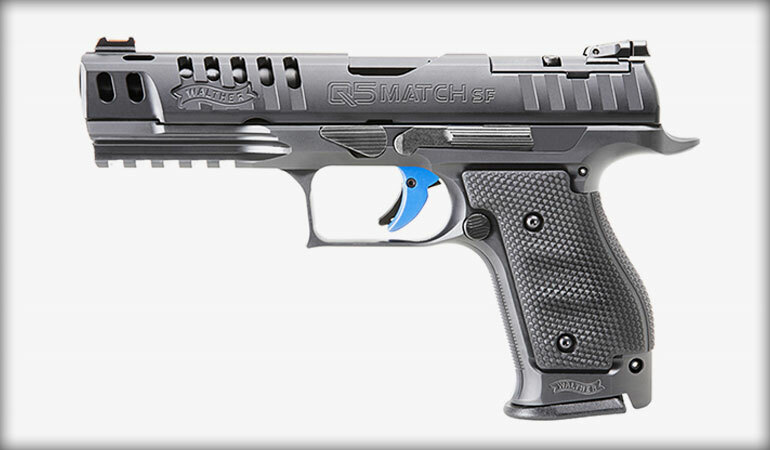 It has been awhile since we saw any new products from Walther, so many folks had their hopes set awfully high - and they weren’t disappointed. Enter, the Walther PPQ SF. 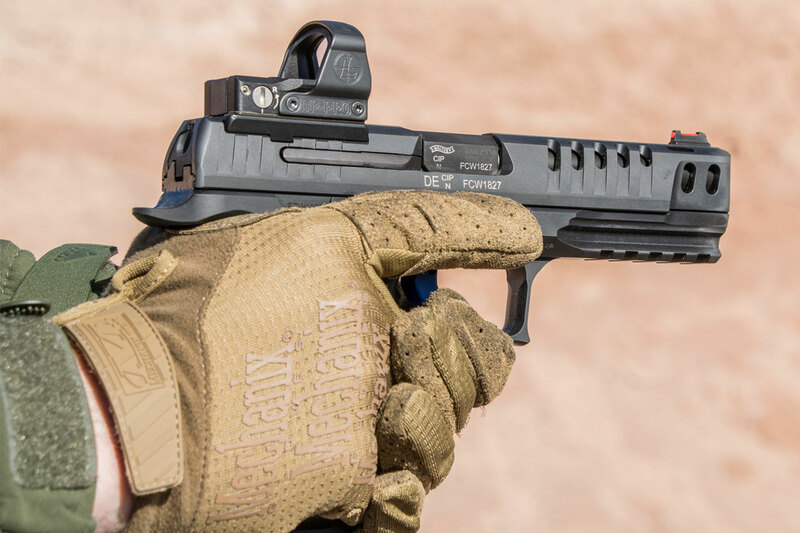 The new Walther pistol boasts all of the great features of the original PPQ which made headlines a few year back, but swaps out the polymer frame for a steel one. Seems simple, but it’s far more involved than it appears. The author had a chance to put a few mags through the new PPQ and loved the lack of recoil and excellent ergonomics. Since polymer has much more give to it than steel, the engineers at Walther had to designing the locking block and the barrel itself. But more than that, it represents a return to steel-framed, full-sized handguns for shooters like myself who love them. Better yet, since the gun is striker-fired and uses the same trigger as the PPQ M2, shooters can get the benefits of an ultra consistent trigger with the added benefit of reduced recoil because of the increased weight. Personally, I’m very excited for this gun, and hope to get my grubby mitts on one for testing soon. Learn more at https://www.waltherarms.com/. AT first glance, the new line of semi-custom 92-series Berettas are nothing revolutionary. Sure they’re gorgeous, and sleek, but it’s just your run-of-the-mill Beretta 92FS, right? These guns are absolute works of art, at reprint prices. Furthermore, they incorporate many highly desirable features of high-end race guns. 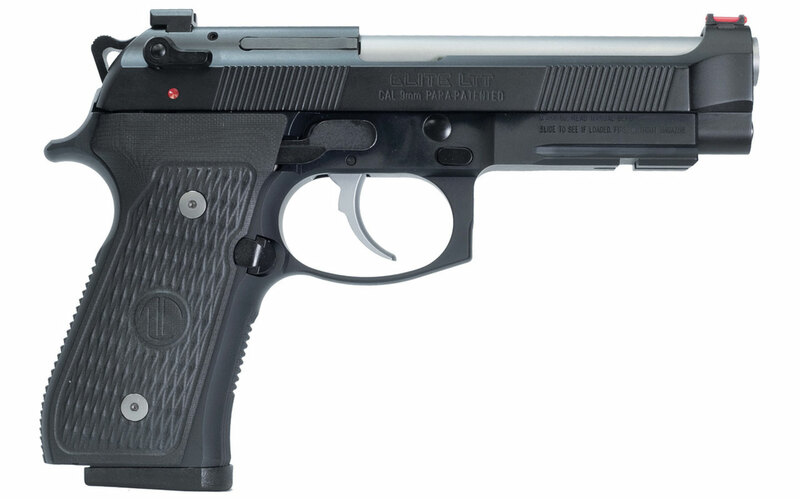 Built as a result of collaborative effort between Beretta and Ernest Langdon - a ten-time World Champion shooter who not only served in the Marine Corps, but also as an instructor for tier 1 counter-terrorism units. In short, he’s a guy who knows his stuff. As such, Ernest hand-picked every aspect of the gun’s design. The feature list of which reads like a recipe for the ultimate Beretta 92 pistol for competition or combat. But more than that, this pistol holds great importance if only for the fact that it is indicative or a new direction at Beretta. A return to affordable custom models, and a departure from ultra high dollar ones of the past. For more information, check out both www.Berettta.com and Ernest Langdon’s custom shop at www.langdontactical.com. When this shooter was barely old enough to tie his shoes, Colt made the decision to discontinue the King Cobra revolver. Consequently, when I was old enough to legally carry a gun, I had to go with a Smith and Wesson J-frame. While the J-frame is undeniably a solid handgun, the Cobra represent a different Era and an alternate take on the snub-nosed revolver. Where S&W sought to make the smallest, most compact five-shooter, Colt wanted full six-round capacity of full-powered magnum ammunition. Shooter in search of a Cobra-sized carry revolver were left with Ruger SP101 or an S&W 640-series. With the latter lacking the sixth round, and being much heavier. Why is the Cobra important? It harkens the return of the not-quite-snub-nosed-magnum with full capacity. Offering shooters a gun that’s a little harder to conceal, but packs a hell of a punch. Plus, it shows that Colt isn’t content to just produce one new ‘snake-gun’. Does this gun’s introduction mean that we’ll soon see the return of the Python? Probably not, but it does mean the odds of it happening are much better. Let’s just hope Colt can reproduce that legendary quality it was once known for in its pistols. In a move that caught everyone by surprize (at least everyone who wasn’t privy to the information beforehand) Mossberg decided to release a polymer-framed subcompact pistol. One designed to directly compete with the king of polymer guns: Glock. This alone would make the new Mossberg MC1 noteworthy, but the fact that it is the first time Mossberg has produced a handgun in 100 years makes it doubly so. For the uninformed, the new MC1 from mossberg is a locked-breech, polymer-framed semi-automatic handgun chambered in 9mm. It uses SIG P365 sights, and Glock 43 magazines. Those last two elements are what cements the gun’s place in history. While dozens of companies have designed and produced hundreds of different guns in an attempt to dethrone the Austrian poly-pistol king - none so far have done so using commonly available components. Normally, because these companies wish to increase their profit margins by selling accessories, but also because the cost of researching and designing a magazine from scratch is prohibitively expensive. And rightfully so. Afterall, the most critical component to any semi-automatic firearm is its magazine. Since, if you can’t reliably deliver ammunition to the chamber, you certainly don’t stand a chance of actually firing a round. But the ground-breaking aspect of this design is that it uses the strengths of its competitors against them. Like a financial Judo move. Instead of fretting over building the perfect magazine, why not use the gold standard. Then, undercut them with a less expensive product from a brand that is synonymous with affordable quality. If I were Glock, I’d be pretty nervous right now. The latest handgun from Kel-Tec looks like a machine pistol from an 80’s Schwarzenegger flick, but is actually a semi-auto handgun with an incredible magazine capacity. Kel-Tec is one of those companies that seems to somehow consistently release totally new takes on various designs. A company whose driving force seems to be innovation. 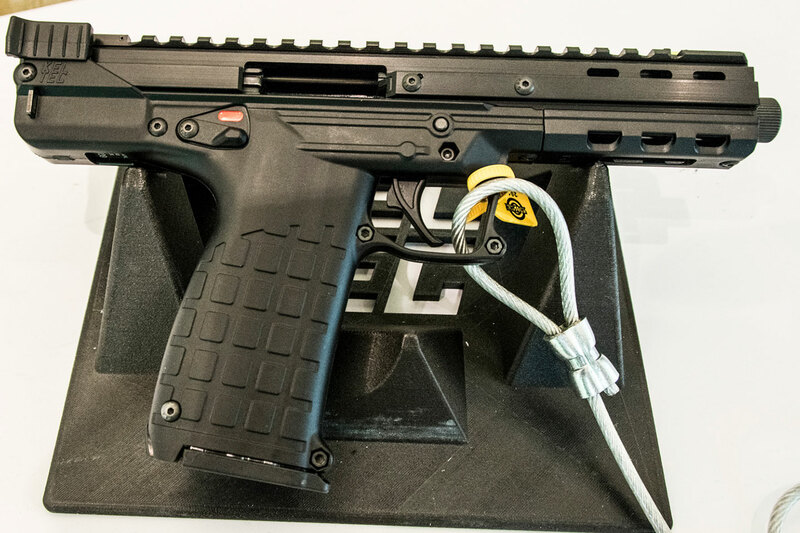 So it was great - but not totally unexpected - when Kel-Tec unveiled their latest product at SHOT Show 2019: the CP33. Chambered in .22lr, the CP33 distinguishes itself through its capacity - a whopping 33 rounds in a single, flush-fitting magazine! Now, while this is impressive in its own right, the fact that it’s a rimfire round makes it even more so. See, with rimmed cartridges, there comes a point where all the rims interfere with smooth feeding, and they lock up. The term for this is called, ‘rim lock’ and it’s an enormous hurdle to overcome. It’s the main reason that the Bren gun didn’t utilize a larger magazine, and why the Dragunov and SVT-40 don’t have larger mags. So it’s amazing that the engineers at Kel-Tec managed to cram 33 rounds of .22 rimfire ammunition into a flush-fitting magazine on the CP33 - as it proves that with proper design, rim lock won’t be the limiting factor in magazine capacity. Ultimately, these aren’t the only guns of importance at SHOT Show 2019, but they are potentially some of the most influential. Does that mean S&W will release a steel-framed M&P, or Glock will produce a Glock 19X SF with anodized aluminum lower? Probably not. But it’s fascinating to see companies buck current trends in search of new markets. And who knows, maybe by this time next year, Mossberg will be the new king of polymer pistols? Stranger things have happened.